In 2016, the EU adopted the Web Accessibility Directive to foster better access to the websites and mobile applications underpinning public services – in particular by people with disabilities, and especially persons with vision or hearing impairments. This Directive is meant to complement the European Accessibility Act and to implement the EU’s commitments under the United Nations Convention on the Rights of Persons with Disabilities (UNCRPD). Article 9 UNCRPD requires the adoption of appropriate measures to ensure equal access to information and communication technologies, including the Internet, for persons with disabilities. Under the Web Accessibility Directive, this translates into an obligation for public sector bodies to ensure that their websites and apps comply with a 2014 EU standard adapted to the latest Web Content Accessibility Guidelines (WCAG) at level AA (currently WCAG 2.0). The Web Accessibility Directive must be transposed into UK law by 23 September 2018 and will generate obligations for new websites from 2019, for pre-existing websites from 2020, and for all public sector apps from 2021. The UK Government is currently analysing the responses to a public consultation on the draft Public Sector Bodies (Websites and Mobile Applications) Accessibility Regulations 2018 (the Web Accessibility Regulations), and the Government Digital Service is developing a host of initiatives to roll-out accessibility policies throughout the public sector. This blog post explains that UK Universities and further education institutions are covered by the Web Accessibility Directive. They must be clearly placed under the scope of application of the future Web Accessibility Regulations and be supported by the Government Digital Service and the Department for Education to ensure that their websites and apps comply with the relevant accessibility standards as soon as possible. This is not only legally mandated, but also essential to the public service mission of universities and other educational institutions. The Web Accessibility Directive makes it clear that it ‘aims to approximate the laws, regulations and administrative provisions of the Member States relating to the accessibility requirements of the websites and mobile applications of public sector bodies‘. 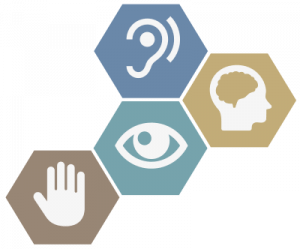 From a technical perspective, the Web Accessibility Directive establishes its scope of application by reference to the EU public procurement rules. In particular, Art 3(1) of the Web Accessibility Directive defines ‘public sector bodies’ as ‘the State, regional or local authorities, bodies governed by public law, as defined in point (4) of Article 2(1) of Directive 2014/24/EU, or associations formed by one or more such authorities or one or more such bodies governed by public law, if those associations are established for the specific purpose of meeting needs in the general interest, not having an industrial or commercial character‘. The reference to Directive 2014/24/EU on public procurement is useful, as the concept of body governed by public law has been clarified by a substantive body of case law of the Court of Justice of the European Union in that context. From an EU law perspective, then, there is no question that a body subject to compliance with procurement rules is also subject to compliance with the Web Accessibility Directive. From a domestic perspective, it is interesting to see that the draft Web Accessibility Regulations take a slightly different approach and, rather than establishing their scope of application by reference to the transposition of the EU procurement rules through the Public Contracts Regulations 2015 (which would have been the obvious domestic instrument to refer to), incorporate their own definitions in reg.2(1). However, given that the definition of ‘bodies governed by public law’ in the Web Accessibility Regulations matches that in Directive 2014/24/EU, and that ‘bodies governed by public law’ is an autonomous concept of EU law that needs to be interpreted as such; this different drafting technique does not create any deviation in the scope of application of the UK’s draft Web Accessibility Regulations, as compared to the EU Web Accessibility Directive. Therefore, the point remains that, from a UK domestic perspective, there is no question that a body subject to compliance with procurement rules is also subject to compliance with the Web Accessibility Regulations. There should be no shadow of a doubt that, inasmuch as they are subjected to procurement rules, UK universities are bound to comply with web accessibility requirements. As Dr Andrea Gideon and I argued in 2016*, this is the case. In order to be classed as a ‘body governed by public law’, an institution must (1) be established for the specific purpose of meeting needs in the general interest, not having an industrial or commercial character; (2) have legal personality; and (3) have any of a series of characteristics, which include being financed, for the most part, by the State, regional or local authorities, or by other bodies governed by public law. Our research shows that, despite recent changes in university funding, in particular in England, UK universities meet all these requirements and remain bodies governed by public law due to their financial dependence on students fees and other government funding. Indeed, English universities remain more than 50% funded by students fees. According to the latest available data, across the UK, universities receive public funding in excess of 50%. The same applies to further education colleges, which dependency on public funds easily exceeds 80% of their total funding. This subjects UK higher and further education institutions to compliance with procurement rules and, now, to compliance with web accessibility requirements. The main consequence of the inclusion of UK universities within the remit of the Web Accessibility Directive and the future domestic Regulations is that they will be obliged to adapt their publicly-accessible websites and apps to the relevant technical standards. This should make them ‘perceivable, operable, understandable and robust’ (Art 4 Web Accessibility Directive). These requirements will be applicable from 23 September 2019 for websites published after 23 September 2018, and from 23 September 2020 for pre-existing websites. All apps will have to comply from 23 June 2021. Universities will also have to report on their compliance with the applicable rules and subject themselves to the domestic mechanism for the resolution of disputes foreseen by the domestic Web Accessibility Regulations. One of the main points of contention is likely to concern the roll-out of accessibility requirements to university intranets and virtual learning environments (VLEs). These are subject to the special transitory rule of Art 1(4)(g) of the Web Accessibility Directive, according to which accessibility requirements will not apply to the ‘content of extranets and intranets, that is to say, websites that are only available for a closed group of people and not to the general public as such, published before 23 September 2019, until such websites undergo a substantial revision‘. Of course, under a narrow interpretation of ‘substantial revision’, this transitory exclusion from accessibility obligations could generate the wrong incentives and create a rush for universities to lock their intranets and VLEs out of the applicable regime by introducing revisions in the next academic year, in the hope that this would delay any necessary investments to make them accessible in terms of the Web Accessibility Directive. Guidance on the proper interpretation of ‘substantial revision’ of university intranets and VLEs seems required in order to avoid this problem. In my view, a lock-in of current solutions could indeed be problematic where these fall short from adequate accessibility standards. Universities and other education providers should, with immediate effect, introduce accessibility requirements in any projects for the update or revision of their websites and apps, including intranets and VLEs. Where these services are provided by third parties (and in particular if these services are being contracted out at this stage), this would be compliant with additional requirements for the technical specification of services meant to be used by natural persons, whether the general public or staff of the contracting authority. According to the procurement rules in Directive 2014/24/EU, such technical specifications shall, except in duly justified cases, be drawn up so as to take into account accessibility criteria for persons with disabilities or design for all users (Art 42; see also recital (21) of the Web Accessibility Directive). Universities should certainly be proactive in this area because there should be no doubt that it is core to a university’s mission to be inclusive and to ensure equal access to higher education. It should thus not be surprising that some universities have already voluntarily adopted the technical standards of web accessibility that will soon be mandated by the Web Accessibility Directive and Regulations—-albeit mostly only in relation to public-facing websites. However, given that the adaptation of existing websites and apps will be costly, it is important that this does not remain a purely voluntary approach so that, at the latest, by the end of 2020 all university websites, apps, intranets and VLEs are adequately accessible. Beyond the willingness of universities and further education institutions to quickly adapt to accessibility standards, and in order to facilitate compliance with the Web Accessibility Directive, it is also important for the UK Government to support higher and further education institutions, not solely with adequate funding, but also with technical support. 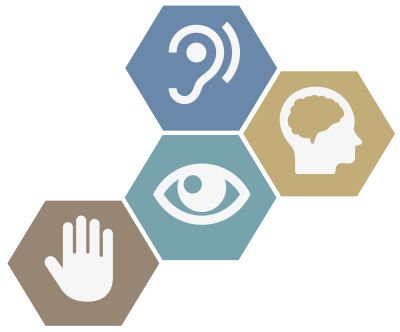 This is recognised by the Web Accessibility Directive, which imposes positive obligations on Member States to promote and facilitate training programmes (Art 7(4)) and to take the necessary measures to raise awareness of the accessibility requirements (Art 7(5)). In that regard, the Government Digital Service and the Department for Education can play an important role in the next few months by raising awareness of the requirements derived from the Web Accessibility Directive among universities and further education colleges, and by providing guidance, training and technical support on the management of digital transformation towards accessible websites and apps. The research underpinning this blog post was published as A K Gideon & A Sanchez-Graells, ‘When are Universities Bound by EU Public Procurement Rules as Buyers and Providers? – English Universities as a Case Study’ (2016) 2 Ius Publicum, accessible at http://www.ius-publicum.com/repository/uploads/14_03_2016_9_04-Gideon_SanchezGraells_DEF.pdf. * Dr Albert Sanchez-Graells and Dr Andrea Gideon have provided evidence to the All-Party Parliamentary Group for Assistive Technology, which will publish a report on Digital Accessibility in higher and further education in August 2018. Thank you for a very interesting review of this new directive. Do you have any idea of what the penalty will be for non-compliance with the act? I don’t agree with the application to Higher Education institutions. Section 4.1 of the regulations provides from some exceptions to the regulations and these include for non-governmental organisations (which HEIs surely are) that do not provide essential public services, which I interpret to be health, fire, rescue, police etc. Consequently I would argue the regulations do not apply to HEIs.